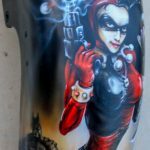 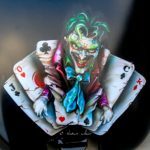 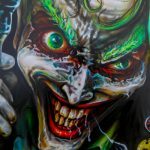 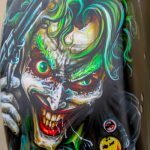 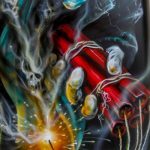 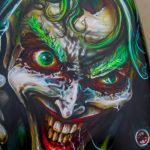 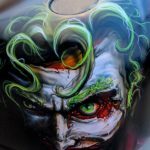 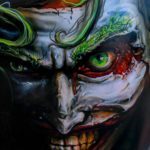 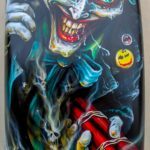 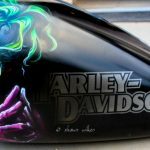 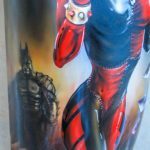 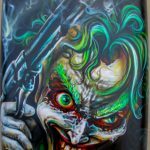 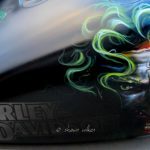 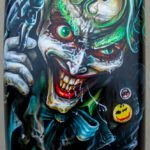 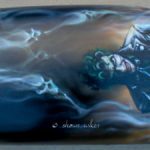 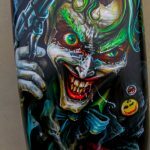 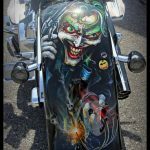 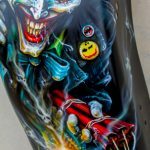 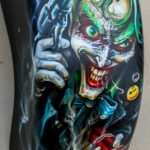 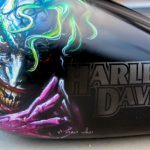 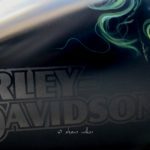 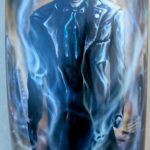 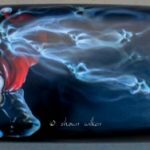 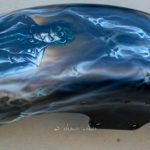 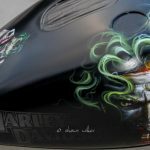 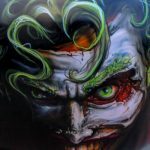 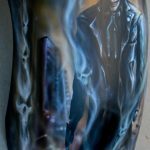 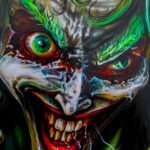 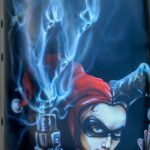 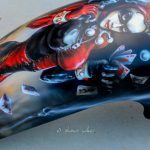 Shawn Wilken | Joker, batman, motorcycle custom paint job. 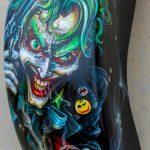 13 Dec Joker, batman, motorcycle custom paint job. 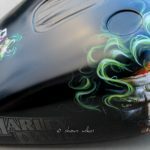 This job came to me from a custom paint shop. 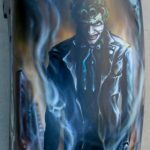 I was responsible to execute a joker, batman, type of paint job. 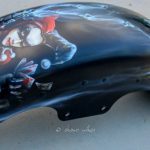 no clear no prep, just paint the art. 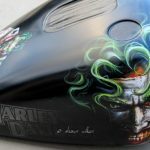 the customer provided a bunch of photos, styles, ideas and concepts that he could possibly think of. 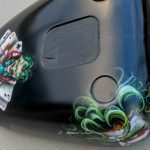 my job to try and put it all together. 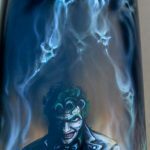 this was the result. 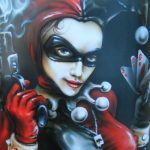 i loved doing it. 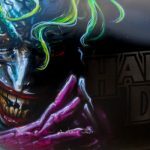 was so much fun.